United European Car Carriers (UECC) has signed a contract to construct two new generation pure car/truck carriers (PCTCs) with China Ship Building Trading Co., Ltd and Jiangnan Shipyard Group Co. Ltd.The newbuilding contract also has options for two additional vessels, and the first vessel is planned for delivery in 2021. 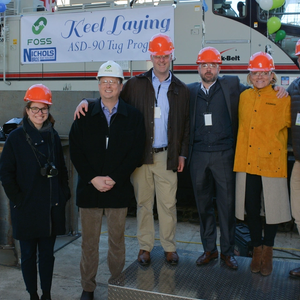 Foss Maritime announced the keel laying of the first of its new class of ASD 90 tugboat, to be built at Nichols Brothers Boat Builders in Freeland, Washington.Nicole Engle, one of the principals of Foss’ parent company, Saltchuk, made the first ceremonial weld of her initials into the keel, assisted by journeyman welder Justina Mackie. 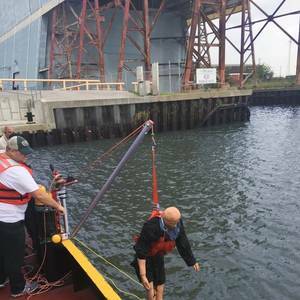 Harken Industrial to manufacture and distribute C-Hero Man Overboard Rescue System.The USCG (SubM) option boats are required to perform a MOB drill for the USCG at the time of COI. 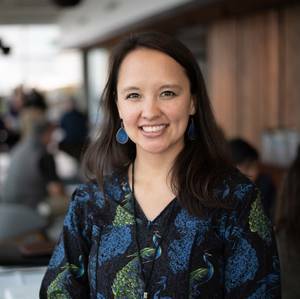 In 137.215 (4) a surveyor has to examine systems in support of drills and training to ensure that it operates as intended. 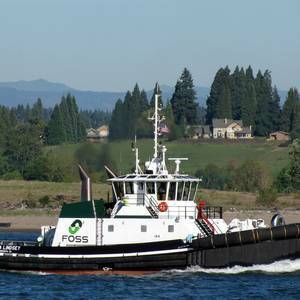 Foss Maritime of Seattle has entered into contract with Nichols Brothers Boat Builders (NBBB) of Freeland, Wash. for the construction of four new 90-ton bollard pull tractor tugs, with an option for six additional tugs to follow. 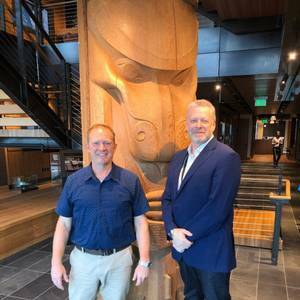 The contract marks the first between Foss Maritime and Nichols Brothers Boat Builders.Foss has selected a design by Jensen Maritime Consultants of Seattle. 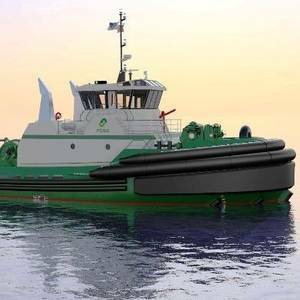 New Kāpena Class Tug Ready to Enter Service in Hawaii.The first of four new ocean-going tugs designed by Damen USA, and built by Louisiana-based Conrad Shipyard, has been delivered to Young Brothers – an independent subsidiary of Foss Maritime. The Kāpena Jack Young completed sea trials in Fourchon, Louisiana and was delivered on August 22, 2018. 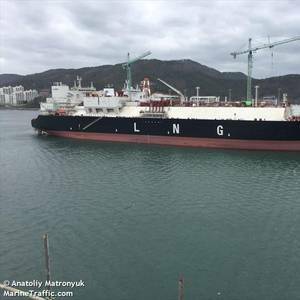 Liquefied natural gas (LNG) carrier owner and operator FLEX LNG has appointed Øystein M. Kalleklev as Chief Executive Officer to replace Jonathon Cook, who resigned in May.Kalleklevm, who has served as Chief Financial Officer of Flex LNG since October 2017, will continue to serve as CFO until a replacement is found.Additionally, Marius Foss has joined the company as Head of Commercial. 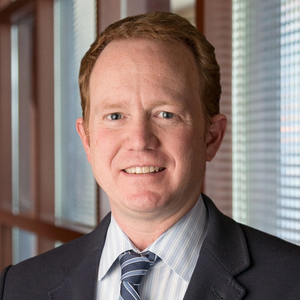 Cook Inlet Tug & Barge (CITB), an independently managed subsidiary of Foss Maritime Company, entered into an Asset Purchase Agreement with Crowley Vessel Sales Group and completed the purchase of all of Crowley’s Prudhoe Bay, Alaska assets – including tugs, barges, heavy machinery and other vehicles and equipment. 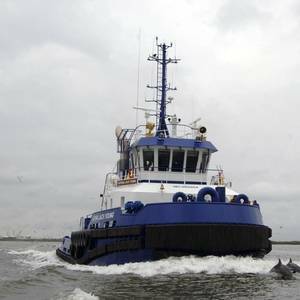 5,000 HP workhorse to enter Alaska service this month.The Bering Wind, a powerful Dolphin Class tugboat, is being transferred from the Foss fleet in Long Beach, California to Cook Inlet Tug & Barge in Anchorage. The tug, formerly known as the Campbell Foss, is scheduled to begin service in Anchorage this month.